Edinburgh-based Nova Innovation is flying the flag for Europe’s renewable energy industry after winning the Enterprise Europe Network Award 2018. 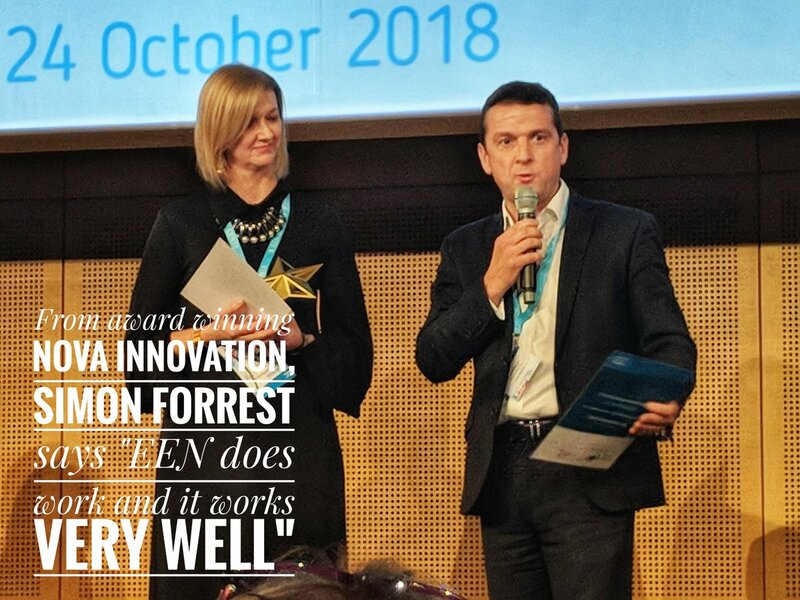 The Enterprise Europe Network announced Nova Innovation as the winner of the 2018 Enterprise Europe Network Award at the Network’s Annual Conference in Vienna, Austria. Nova's win comes after they delivered a novel idea: creating the world’s first grid compliant tidal energy turbines in Scotland, ahead of big multi-national energy companies. Jane Watters of SE’s Enterprise Europe Network team introduced Nova to a Belgian renewables company IDETA which led to the development and expansion of the world’s first offshore tidal array in Shetland . With the Network’s support, Nova was also able to secure over £20m EU funding which has had a significant impact on the company’s growth, with the company growing from a team of four to over 35 employees.